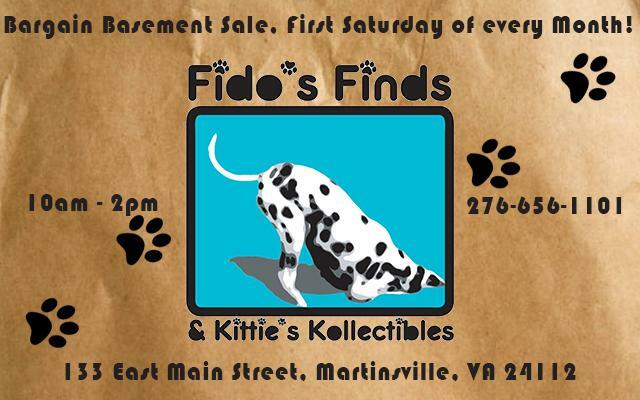 Fido's Finds and Kittie's Kollectibles will be holding their Bargain Basement Sale the first Saturday of every month from 10am - 2pm. You don't want to miss this! 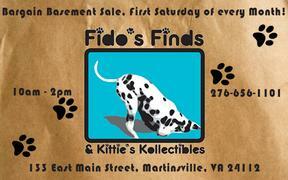 The store is located in Uptown Martinsville at 133 East Main Street.